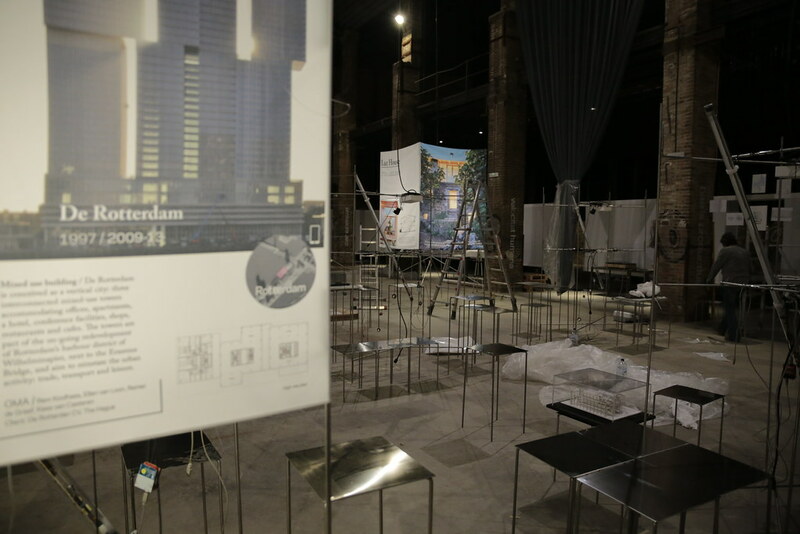 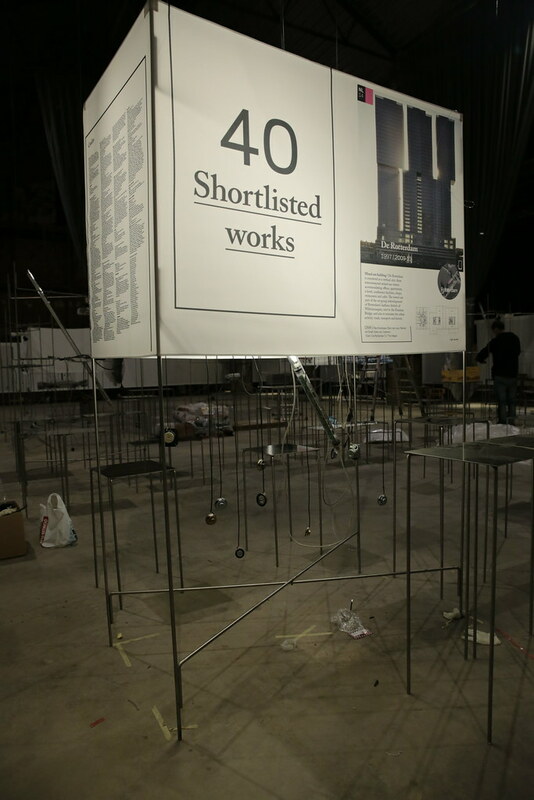 An exhibition of the best architectural works of 2014, the Mies Van der Rohe Awards. 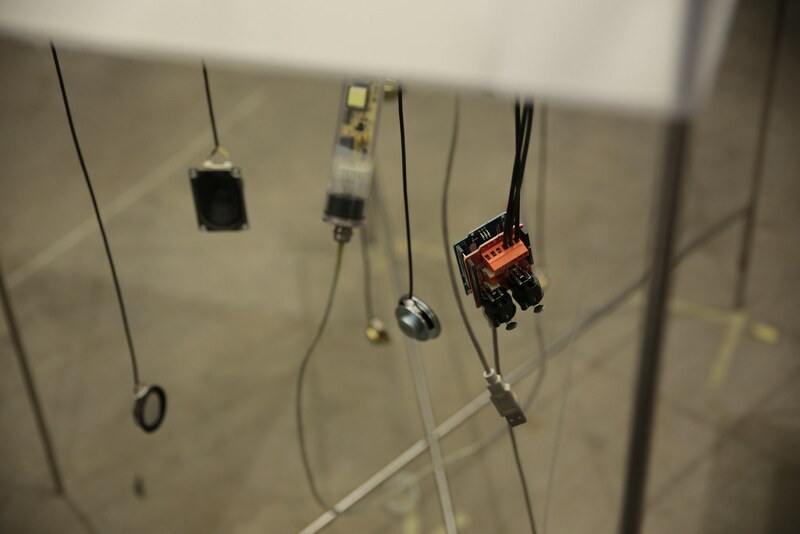 We developed a sound, light and video synchronization system for the modular exhibitor boxes. 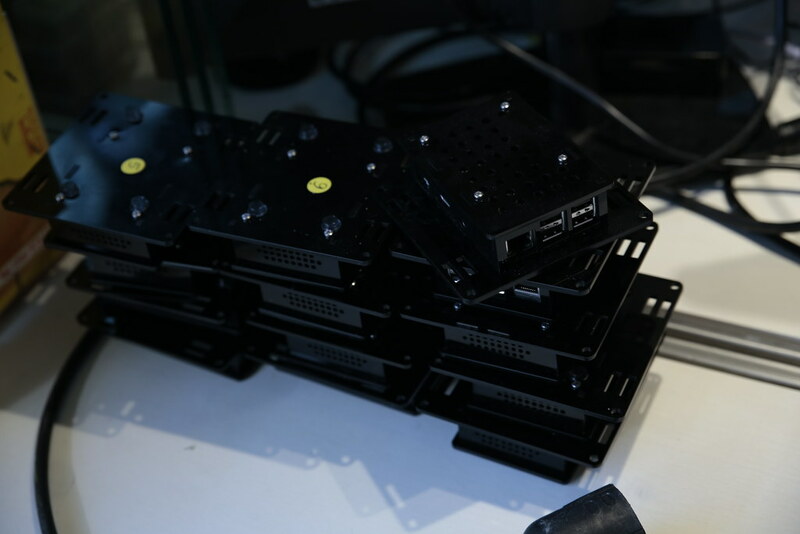 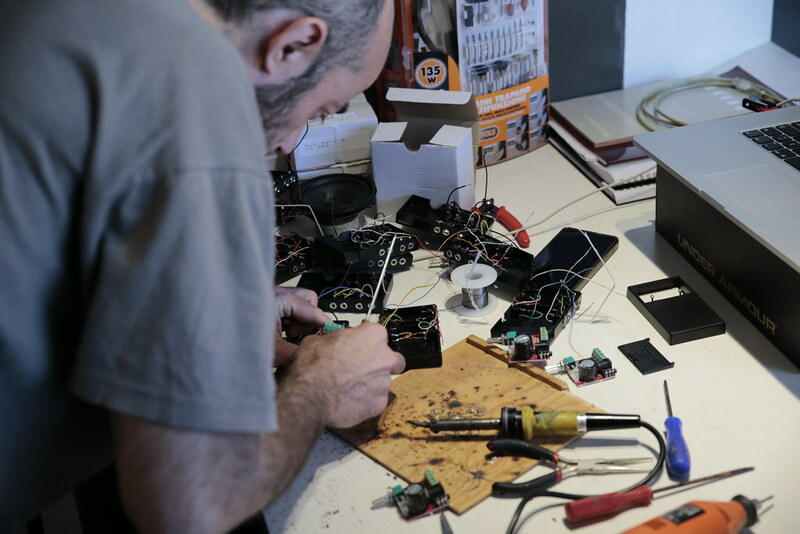 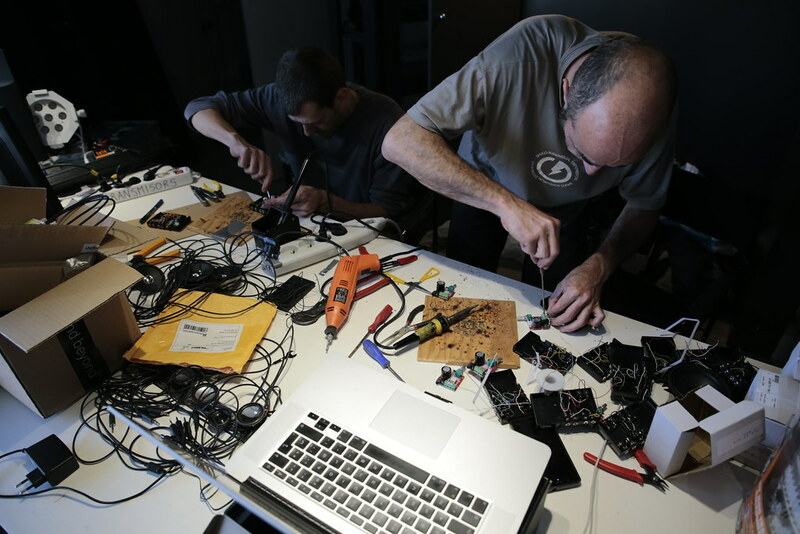 The system is made of network of 21 RaspberryPI 2 units, with a custom made Openframeworks software. 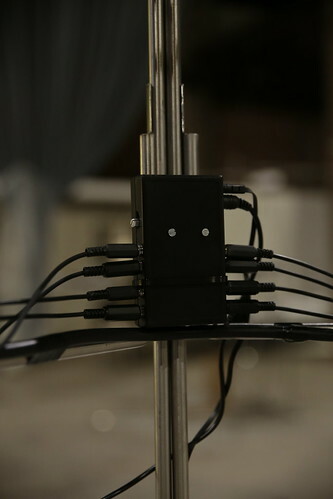 It allows warping and triggering video contents, controlling DMX lighting and play sounds. The whole system is driven by a master computer, which features a timeline based to score the exhibition triggers. 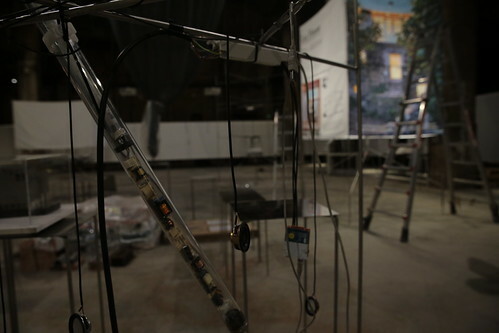 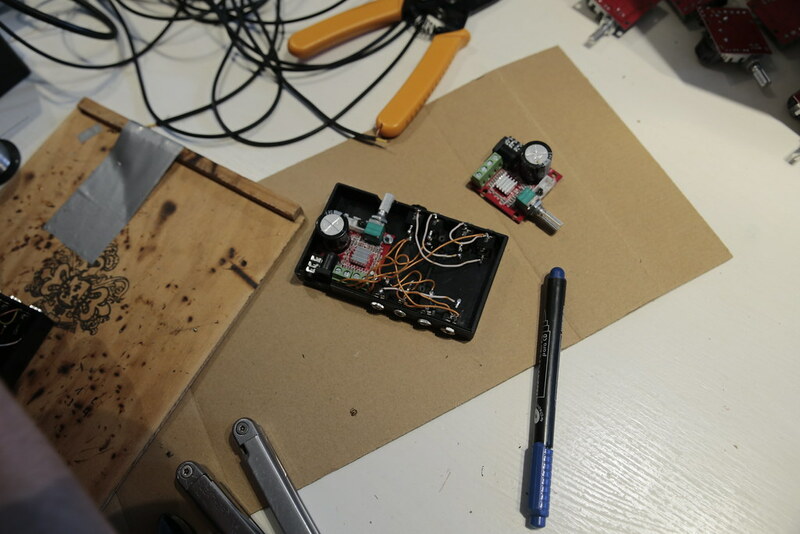 Lighting is controlled using arduino-based DMX interfaces, which communicates with a DALI fixture on each box. 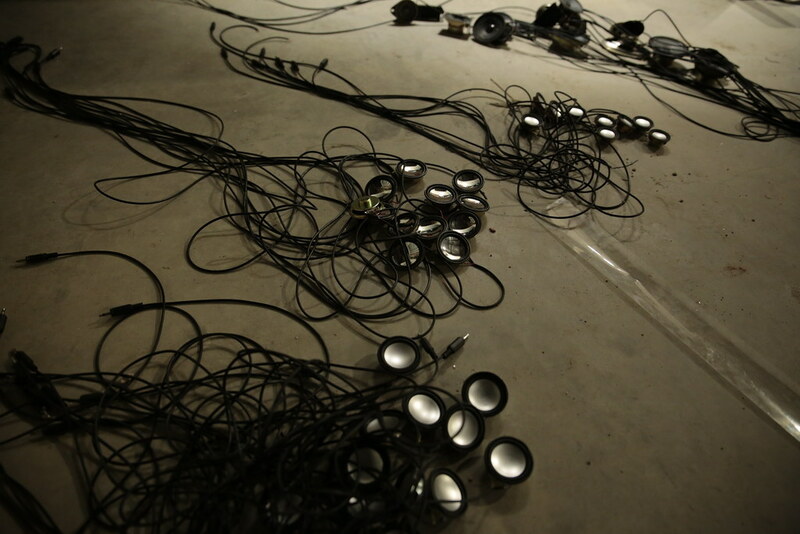 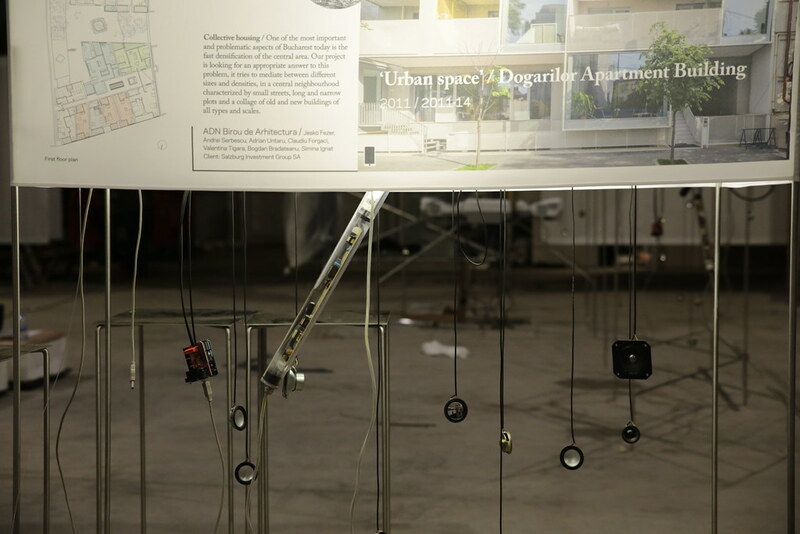 We created a sculptural sound system for each box, consisting of several hanging little speakers, powered through DIY amplifiers. Each box has it’s own soundscape, composed by Playmodes, configuring an interesting, complex, soundfield in the exhibition space. 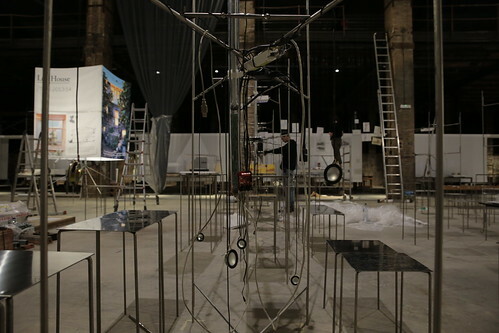 The result is a coordinated orchestra of elements (video, light & sound) which create a non-linear exhibition narrative.